Bringing together the people of Bhubaneshwar and beyond as they celebrate their love of running and sports. Sports is a way of life at Tata Steel and we are committed to provide a healthy work environment to our stakeholders. 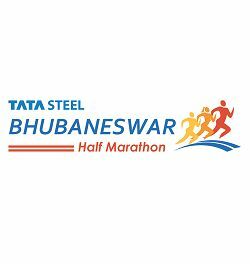 Register now and join us on January 13, 2019 at the Kalinga Stadium for the 4th edition of Tata Steel Bhubaneswar Half Marathon. 1. An applicant can apply for only one race. 3. All participants must enter Kalinga Stadium, Bhubaneswar through Gate No. 1 and report at hold-up area (near Sky Walk 4). 5. Participants will be allotted different color coding BIB numbers as per race category / distance. 1. All confirmed participants must collect their goodie-bag containing T-Shirt, RFID BIB Chip, Instructions Manual, Route Map & Refreshment Coupon from Kalinga Stadium, Bhubaneswar between January 9 - 11, 2019 from 10:00 a.m. to 1:00 p.m. and from 3:00 p.m. to 7:00 p.m. Outstation participants can collect their goodie bag on 12th January 2019 from 10:00 a.m. to 1:00 p.m. and 3:00 p.m. to 7:00 p.m.
a. All confirmed participants are required to visit at Kalinga Stadium, Bhubaneswar individually to collect their Goodie Bag. In case of unavoidable circumstances, a participant can send his/her authorized representative to collect Goodie Bag on his/her behalf. b. For group bib collection concerned organization can send authorize representative to collect goodie bag on behalf of the organization. ii) Photo-identity proof (Aadhar card, PAN Card or passport) of the representative and the confirmed participant. iii) In case of group bib collection authorization letter from concerned organization and Photo-identity proof (Aadhar card, PAN Card or passport) of the representative and the confirmed participant. c. Original Payment Receipt for non-on-line registration. d. Receipt / SMS / Email for on-line registration. 3. Birth Certificate (Matric / Municipality / Notified Area / BDO) should be provided on demand by the participants on the day of run. 4. First Aid and Drinking water will be provided by the organizer. 5. Refreshment to be collected from refreshment Counter, Kalinga Stadium. 6. All finishers in Half Marathon (21.0975 Km) (Men within 3 Hrs. & Women 3 Hrs. & 20 minutes) will be awarded with medals. 7. After verification of final results prize money will be transferred to the Winner’s Bank Account. 8. Maximum 5000 participants will be registered on first come first serve basis. Registration will be closed after attaining the figure of 5000.